Born: 19 May 1867, Yeovil, Somerset, England. Died: 1938, Johannesburg, South Africa. Arthur Whitby, analytical chemist and assayer, studied science at the Midland Institute, Birmingham, where one of the best metallurgical schools in the United Kingdom was developed in 1885. 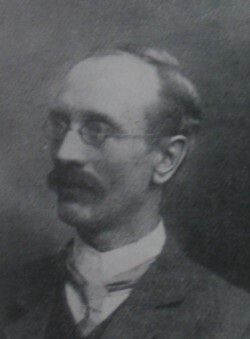 After qualifying as a chemist he was engaged in research work in the laboratories of Messrs Southall, wholesale pharmaceutical chemists of Birmingham. There he collaborated with Richard A. Cripps on research into the alkaloids found in the root of Cepha?lis ipecacuanha and other plants of the Peruvian bark family, and was instrumental in the isolation of the alkaloid of quinine. This work was published in two papers, with Whitby as co-author, in The Pharmaceutical Journal: "The assay of ipecacuanha" (1889) and "Report upon ipecacuanha. Part 1. General proximate analysis" (1892). Whitby came to South Africa for health reasons in 1891 and was initially employed in pharmaceutical work in the Cape Colony and Orange Free State. In 1896 he joined the Wolhuter Gold Mining Company in their cyanide works and shortly afterwards the Meyer & Charleton Gold Mining Company as assayer. For some time he was also assistant chemist to the Bank of Africa and assayer to Consolidated Goldfields of South Africa. In 1897 he married Annie Etheline Buxton, with whom he had four children. Shortly after the Anglo-Boer War (1899-1902) Whitby took up the post of assayer with Robinson Deep Gold Mining Company. There he conducted extensive research into the accuracy of assays of slimes (the finest portion of crushed ores) and solutions, and in June 1902 developed the copper-sulphate method of precipitation. He became a member of the Chemical and Metallurgical Society of South Africa (from 1902 the Chemical, Metallurgical and Mining Society of South Africa) in 1897 and served on its council from 1902. In 1918-1919 he was joint vice-president of the society and in 1929 was elected an honorary life-member. He read several notes and papers on his work before the society, including "Note on 'chemically pure' nitric acid" (Proceedings, 1899, Vol. 2, pp. 606-608); "Notes on commercial cyanide of potash" (Proceedings, 1902, Vol. 3, pp. 210-217); "The assay weight and its relation to the balance of precision" and "Note on the influence of fine crushing on the assay value" (Journal, 1904/5, Vol. 5); "Routine assaying on the Rand" (Journal, 1905/6, Vol. 6); "The assay of cyanide solutions and slime residu carrying dissolved gold" (Journal, 1909/10, Vol. 10, pp. 134-); "Referee assays" (Journal, 1913/4, Vol. 14, p. 367); and "Proposed method of assay of tin ores"(Journal, 1913/4, Vol. 14, pp. 170-171). Whitby became a foundation member of the South African Association of Analytical Chemists in 1912 and served on its first council. (The association became the South African Chemical Institute in 1921). In 1906 he was a member of the South African Association for the Advancement of Science, but his membership had lapsed by 1911. In 1905 he was as an independent chemist and assayer in Johannesburg. Two years later he entered into a partnership with James Littlejohn. They operated as consulting analytical chemists and metallurgists in Johannesburg under the name Littlejohn & Whitby. He continued his work with this firm until his death in 1938. Chemical and Metallurgical Society of South Africa. Proceedings, 1897-1899, Vol. 2. Chemical, Metallurgical and Mining Society of South Africa. Proceedings, 1902-1903, Vol. 3; Journal, 1904-1914, Vol. 5-10, 12-14. National Automated Archival Information Retrieval System (NAAIRS). . Documents relating to Whitby, Arthur. Obituary: Arthur Whitby. Journal of the Chemical, Metallurgical and Mining Society of South Africa, June 1938, Vol. 38(12), pp. 575-576.